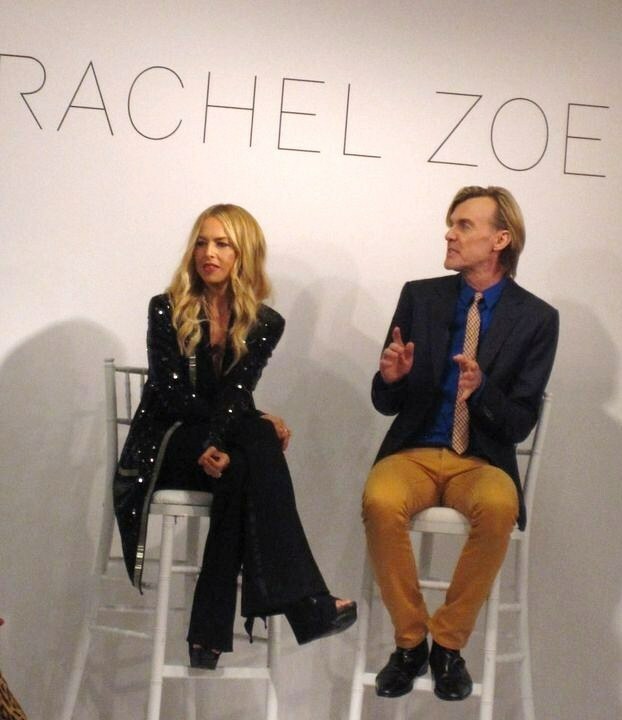 I really like Rachel Zoe as a stylist and her collection is quite amazing. I thought to share this so we can all be as fabulous as these models. I will be sporting a cream color Chanel inpired jacket with black shorts this fall. Sporty and chic. Similar pieces in my wardrobe will totally come in handy this coming winter. Looking forward. I love this short ruffled leather jacket. It is the perfect topper for many looks. I am not a big jumper fan but this tux jumper is adorable. Cool and elegant in white. Sleek fitted grey suit is perfect year round. I prefer grey over black suit any day. 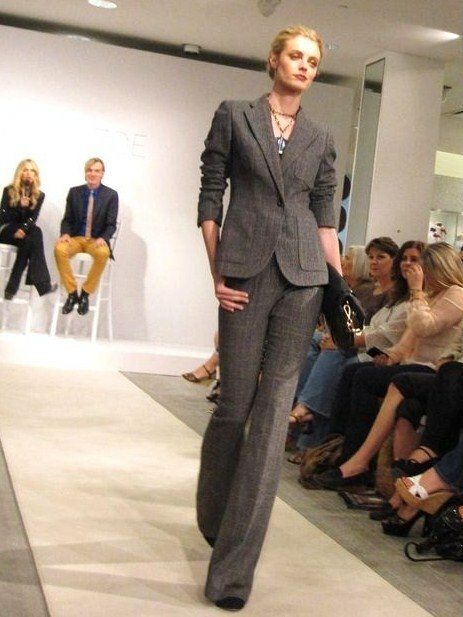 Adding a delicate layered necklace is perfect contrast for this suit. 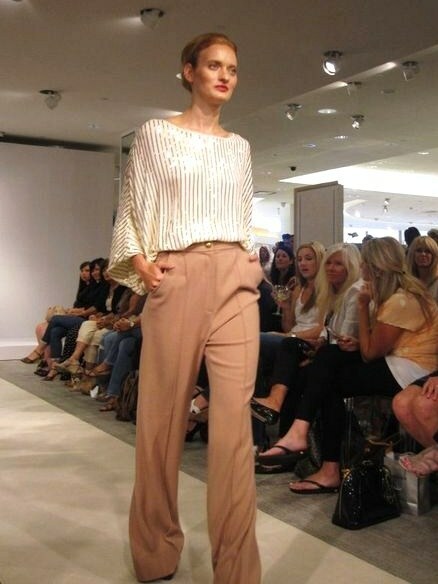 Casual chic with a loose top and sleek trouser. Great for the office and dinner out. ***Do not forget to enter $100 Shopbop Gift Card. Have a wonderful weekend. Looks 1 and 5 are my favorites! 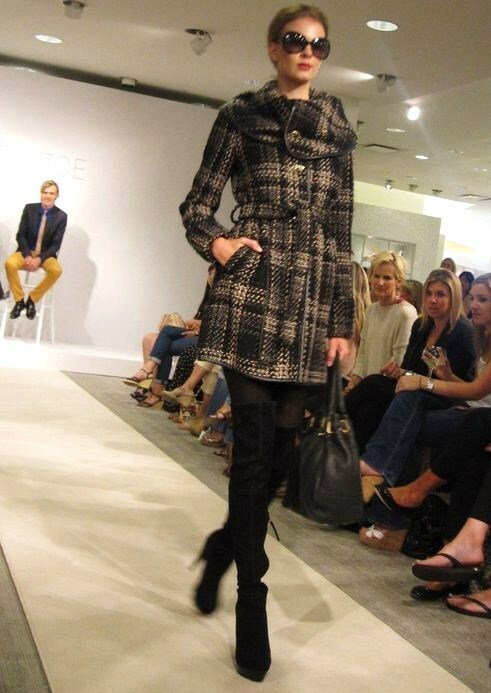 Love that coat too... so chic! I really like this! Not as over the top as I thought it would be. Very chic. Love the camel cape with black trim. I really like how she put everything together. These outfits are normal and everyday friendly for us gals. There are certainly pieces in my wardrobe already that will pull together to achieve similar looks. I have always liked her collections. @Lisa: that black and white jacket with black shorts look rather Chanel-ish. 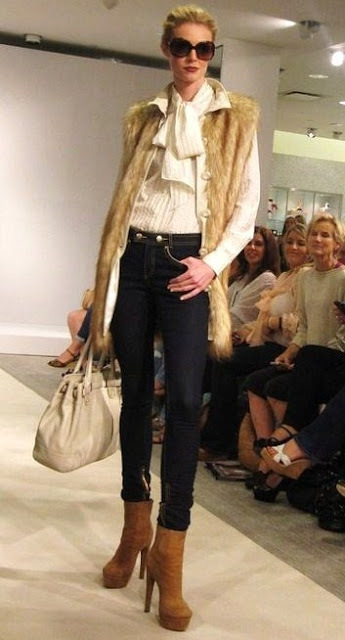 I will use both my Chanel inspired and Chanel jacket to pull together a look like this. LOVE these photos and I would love to have that either the coat or the cape it is just stunning! Thank you so much for stopping by and I squealed when I saw the false eyelash application post below! AHHHH SO in need of it! The shrunken leather jacket and the last look are my favs! Very sleek and elegant, but still a bit trendy.